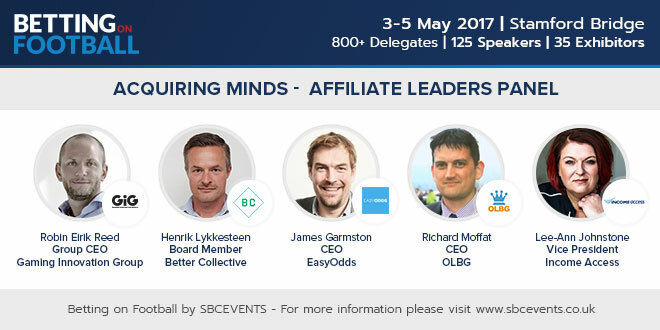 The CEO of Gaming Innovation Group (GIG), a M&A driver in the affiliate marketing arena, will be starring in the first day Affiliate Leaders panel at Betting on Football 2017. 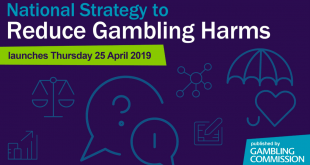 Group CEO Robin Eirik Reed will be discussing the M&A focused strategy for GIG, the relationship between bookmakers and affiliates, the scope for new market entrants and whether affiliates are now in a position to start challenging operators’ marketing strategies. Earlier this month, GIG confirmed the €11.5 million acquisition of online casino review portal Casinotopsonline.com, the biggest acquisition for its marketing subsidiary Innovation Labs. 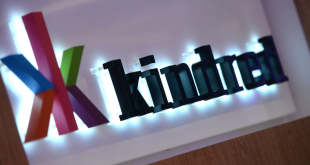 Last year, the Group acquired the assets of a Swedish-based affiliate network from Magenta Media and paid a consideration of €4.2 million for Dutch affiliate network Delta Markets. 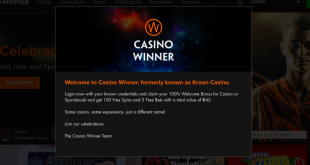 Reed commented: “There’s a lot of change in the affiliate side of the business, but at GIG we believe that the gambling industry should be more connected as part of a large eco-system rather than segmented as it tends to be at the moment. 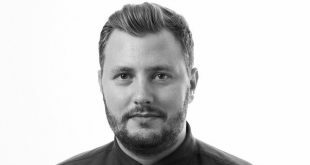 Reed will be speaking at #bofcon2017 alongside Better Collective Board Member Henrik Lykkesteen, Easyodds CEO James Garmston and Richard Moffat, the CEO for UK-based sports betting affiliate OLBG who last year launched its international player referral services in Spain, Australia, Ireland and Romania. The session will be chaired by Income Access Vice President of Business Development and Marketing Lee-Ann Johnstone. For more information about the event, or to get in touch with the speakers, contact SBC MD Andy McCarron at andy@sbcnews.co.uk or SBC Founder Rasmus Sojmark at rs@sbcnews.co.uk. 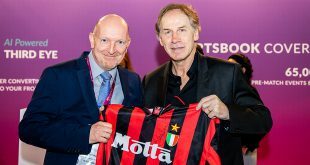 The list of registered affiliates for the three day event at Stamford Bridge (3-5 May) also includes 365scores, 90min.com, BadMan Tipsters, Baybets, bestbetting, bet2go, BetBrain, Bettingexpert, Bookmaker-Ratings.ru, Clever Advertising, Clever Connect, Digitonic, Dreamworx Online, Easyodds, Gazzetta dello Sport, Google, Itech Media, LiveSport Media, LuckyLabz, Moneta, Natural Intelligence, Oddschecker, Oddslife, OLBG, Perform, Racing Post, Rebel Penguin, Smartbets, Sport1Media, Sportlobster, SportsbookReview, Squawka, SuperScommesse.it, Weekend Football, Betgenius, WinDrawWin.com, Dugout and BetXpert.